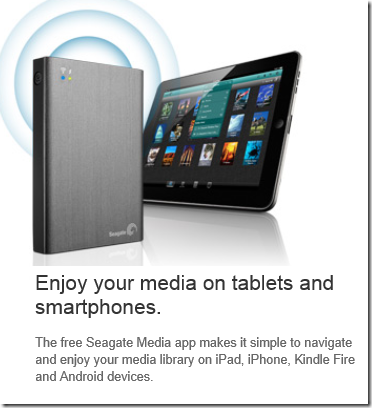 Amazon Cognito lets users log in with Amazon, Facebook or Google and then synchronize data across devices. The data is limited to a 20MB, stored as up to 20 datasets of key/value pairs. All data is stored as strings, though binary data can be encoded as a base64 string up to 1MB. The intent seems to be geared to things like configuration or game state data, rather than documents. 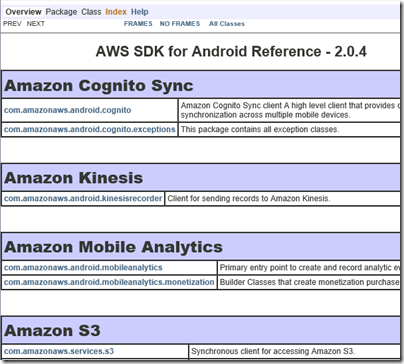 Amazon Mobile Analytics collects data on how users are engaging with your app. You can get data on metrics including daily and monthly active users, session count and average daily sessions per active user, revenue per active user, retention statistics, and custom events defined in your app. 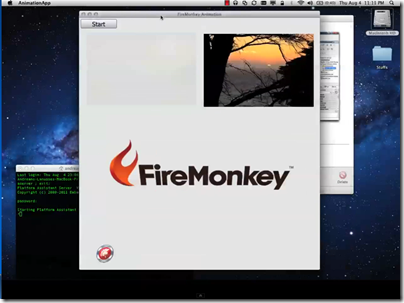 Other services in the SDK, but which were already supported in version 1.7, include push messaging for Apple, Google, Fire OS and Windows devices; Amazon S3 storage (suitable for any amount of data, unlike the Cognito sync service), SimpleDB and Dynamo DB NoSQL database service, email service, and SQS (Simple Queue Service) messaging. 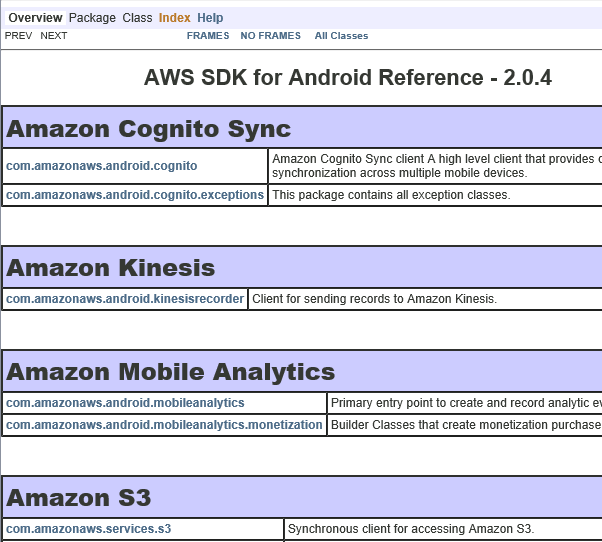 Windows Phone developers or those using cross-platform tools to build mobile apps cannot use Amazon’s mobile SDK, though all the services are published as a REST API so you could use it from languages other than Objective-C or Java by writing your own wrapper. The list of supported identity providers for Cognito is short though, with notable exclusions being Microsoft accounts and Azure Active Directory. Getting round this is harder since the federated identity services are baked into the server-side API. Microsoft CEO Satya Nadella has penned a rather long public letter which sets out his ambitions for the company. It is not full of surprises for those who have been paying attention, but confirms what we are already seeing in projects such as Office for iPad: Microsoft is positioning itself for a world in which the Windows client does not dominate. Microsoft is saying that it will build work/personal data partitioning into its applications, particularly one would imagine Office, and that it will write them for ecosystems other than its own, particularly one would imagine iOS and Android. This is a big change from the Windows company, and one that I will expect to see reflected in the tools it offers to developers. If Microsoft is not trying to acquire Xamarin, you would wonder why not. It has to make Visual Studio a premier tool for writing cross-platform mobile applications. It also has to address the problem that an increasingly large proportion of developers now use Macs (I do not know the figures, but observe at some developer conferences that Windows machines are a rarity), perhaps via improved online developer tools or new tools that themselves run cross-platform. Nadella is careful to avoid giving the impression that Microsoft is abandoning its first-party device efforts, making specific mention of Windows Phone, Surface, Cortana and Xbox, for example. Our first-party devices will light up digital work and life. Surface Pro 3 is a great example – it is the world’s best productivity tablet. In addition, we will build first-party hardware to stimulate more demand for the entire Windows ecosystem. That means at times we’ll develop new categories like we did with Surface. It also means we will responsibly make the market for Windows Phone, which is our goal with the Nokia devices and services acquisition. We will increase the fluidity of information and ideas by taking actions to flatten the organization and develop leaner business processes. The company has become increasingly bureaucratic over the years, and that is holding back its ability to be agile (though some teams seem to move at high speed regardless; I would instance the Azure team as an example). Nadella’s letter has too many flowery passages of uncertain meaning – “We will reinvent productivity for people who are swimming in a growing sea of devices, apps, data and social networks. We will build the solutions that address the productivity needs of groups and entire organizations as well as individuals by putting them at the center of their computing experiences.” – but I do not doubt that major change is under way. 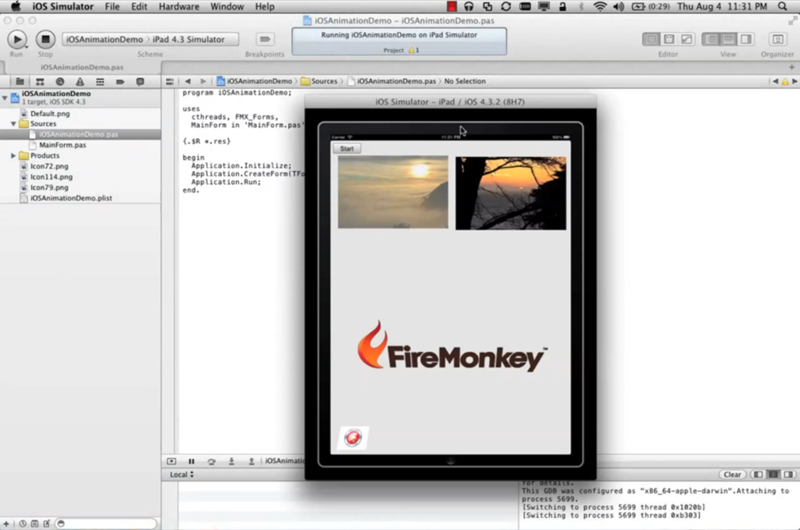 Apple’s Swift programming language: easy coding for OS X and iOS at last? Apple has announced a new programming language, called Swift. (There was already a language called Swift, used for parallel scripting, but Apple links to the other Swift in case you land on the wrong page. So far it looks like the other Swift has not returned the favour). I should mention that RAD (Rapid Application Development) on OS X has long been possible using the wholly-owned Filemaker, a database manager with a powerful scripting language, but this is not suitable for general-purpose apps. Overall, it is fair to say that coding for OS X and iOS has a higher bar than for Windows because Apple has not provided anything like Microsoft’s C# or Visual Basic, type-safe languages with easy form builders that let you snap together an application in a short time, while still being powerful enough for almost any purpose. This has been a differentiator for Windows. Visual Basic is almost as old as Windows itself, and C# was introduced in 2000. Swift is a type-safe language that compiles to native code using LLVM. 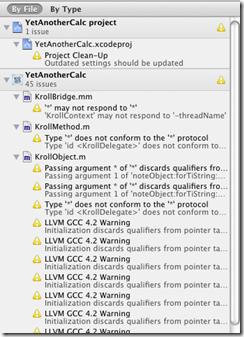 You can mix Swift and Objective-C in a single project. In Objective C you can use #import to make Swift code visible and usable. Swift is a C-family language and you will find familiar features like curly braces and semi-colons to terminate lines (though semi-colons are optional). 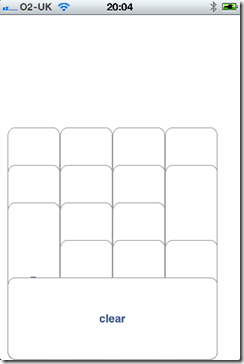 Swift uses reference counting for automatic memory management. There is rather complex section in the book about weak references and unowned references, to solve some of the problems inherent in reference counting. Type inference is the preferred approach to declaring the type of a variable, but you can state the type if required. You can also declare constants. Swift supports single inheritance for classes and multiple inheritance for protocols (protocols are more or less equivalent to interfaces in other languages). There are advanced features including closures, generics, tuples, and variadic parameters. (I am not sure if “advanced” is the right word, but other languages such as C# and Java took a while to get these). Swift has something like destructors which it calls deinitializers. There is an interesting feature called Extensions which lets you add methods to any existing type. For example, you could extend Int with a prettyprint method and then call 3.prettyprint. Swift variables are not normally nullable; they must have a value. However you can declare optional types (add a ?, such as Int?) that can be set to nil. You can also declare implicitly unwrapped optionals which can be nil, but once assigned a value cannot be nil thereafter. Swift includes the AnyObject type which can represent anything. Swift seems to me to have similar goals to Microsoft’s C#: easier and safer than C or C++, but intended for any use right up to large and complex applications. One of the best things about it is the smooth interoperability with Objective-C; this also saves Apple from having to write native Swift frameworks for its entire stack. A smart move? I think so, though Swift is different enough from any other language that developers have some learning to do. What difference will Swift make? Initially, not that much. Objective-C developers now have a choice and some will move over or start mixing and matching, but Swift is still single-platform and will not change the developer landscape. That said, Swift may make Apple’s platform more attractive to business developers, for whom C# or Java is currently more productive; and perhaps Apple could find ways of using Swift in places where previously you would have to use AppleScript, extending its usefulness. If Apple developers were tempted towards Xamarin or Delphi for productivity, as opposed to cross-platform, they will probably now use Swift; but I doubt there were all that many in that particular group. I would be interested to hear from developers though: what do you think of Swift? 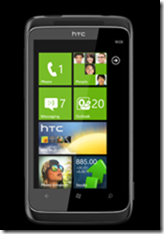 Microsoft completes Nokia acquisition: what now for Windows Phone? Microsoft has completed its acquisition of Nokia today, a milestone in the turbulent story both of Nokia and of Windows Phone, which Nokia adopted in the hope of establishing a “third ecosystem” to challenge Apple iOS and Google Android. Rumour has it that the Nokia acquisition was controversial within Microsoft and a large factor in the departure of Steve Ballmer as CEO. However, even if Microsoft took the view that an independent Nokia was better for Windows Phone, it faced the risk that market pressure would drive Nokia to Android and weaken the platform. 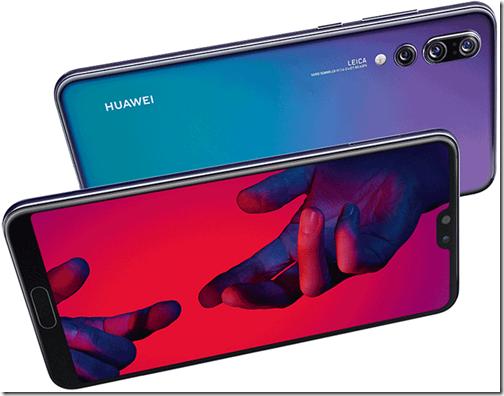 The beginnings of that process may have been under way, with the launch of the Nokia X Android-but-not-Google range of phones, but we will never know, since Microsoft decided on acquisition. How important has Nokia been for Windows Phone? In my view, life-saving. Before Nokia, there was no manufacturer nor operator which really cared about the platform, and it showed in lacklustre hardware and half-hearted marketing efforts. Nokia came up with the distinctive Lumia brand and style, added a decent mapping service, and with its focus on the PureView camera technology, gave enthusiasts a reason to take a close look at its devices. It also saw an opportunity at the low end, and created some great value devices that opened up a new market for the operating system. There were some blunders (the original Lumia 800 suffered many faults and terrible battery life on launch) and Lumia did not grow fast enough to restore Nokia to health, but to my mind it was a good effort. 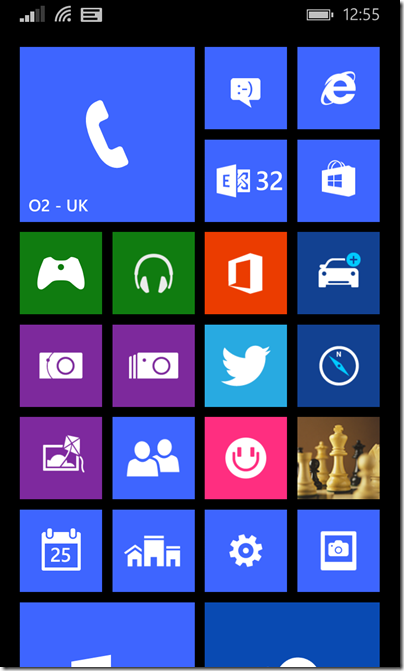 Today, the general opinion of Windows Phone is that it is a strong smartphone operating system but suffers from a lack of high-quality apps. Users have to put up with the fact that most app vendors feel they are done if they support iOS and Android; and if there is a Windows Phone version of their app, it is often poor. That is not a great position for Microsoft/Nokia to be in, but it could be worse. Blackberry 10, which is also a decent mobile operating system, has been all-but written off as a viable contender. Microsoft is fortunate in that, unlike Blackberry, it can to some extent create its own ecosystem. Office 365, Bing, OneDrive, Nokia’s maps, Azure for developers needing a cloud back-end: taken together they form a viable alternative. In this respect, Microsoft actually has an advantage over Apple, which lacks this breadth of services. Windows Phone sales picked up significantly in Q3 2013, showing a 140% increase year-on-year, fuelled primarily by low-end device sales. According to Kantar, Windows Phone sales in the three months running to Oct 2013, reached double-digit figures in some Western European markets. While this is certainly a positive sign for Microsoft they will continue facing an uphill struggle, in an increasingly unfavourable race against the two runaway leaders, iOS and Android. and Server businesses which are still growing. Microsoft is in fact supporting iOS and Android as clients for its cloud services, as noted again at yesterday’s financial webcast, where CEO Satya Nadella talked about a strategy that goes across “devices some ours, some not ours.” It is a bit of both though, and the company is not showing any signs of weakening its own mobile efforts. In my view reports like that from Vision Mobile miss a couple of factors. One is that Windows and Windows Phone are converging. They already use the same OS kernel, and at the Build conference earlier this month Microsoft announced Universal Apps that will run on both, and the ability for developers to sell an app once and have users install on both phone and full Windows. This means that the future of Windows Phone and that of Windows itself are closely bound together. Longer term, they will either both fade away, or both succeed. Windows remains a huge business for Microsoft, despite the decline of the PC, especially in business. Microsoft’s problem though is that adoption of Windows 8 has been relatively weak, and that those who do use it, largely live in the desktop environment rather than running Store apps (of which Universal Apps are a variant). Despite the dismal progress so far for the Store apps platform and ecosystem, I believe it should be taken seriously. On paper it has many advantages, not only for touch control, but also in deployment, security, roaming data driven by the cloud, and discoverability through the store. Isolation from the core operating system protects users against the things that destroy desktop Windows, like unwanted extras foisted on users who simply need to update Java or Flash. At Build we saw not only Universal Apps, but also a preview of Office in the Windows Runtime (Store app) environment. We also saw a preview of Store apps running within a window in the desktop environment, solving the jarring transition between desktop and Store app environments that unsettles users. If Microsoft gets this right, both Windows Phone and Windows tablets will be substantially more attractive. Microsoft also has the ability to bind Windows Phone into its enterprise device management environment, System Center and InTune. 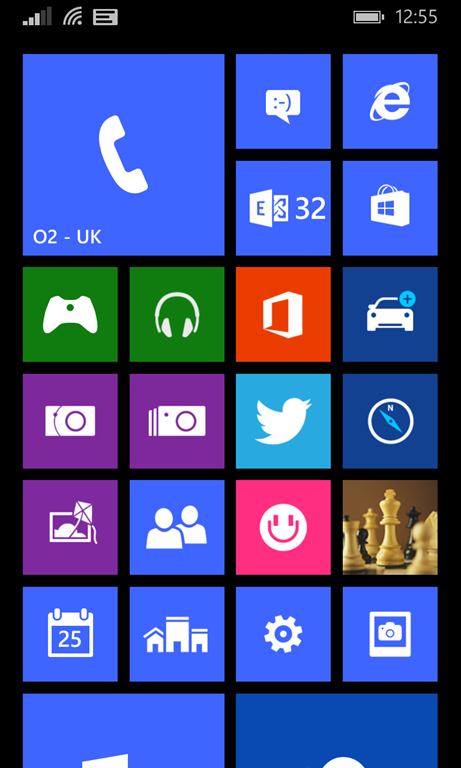 In Windows Phone 8.1 the device management and security features businesses need are much improved. More is still needed; but the company should be able to build integration points that make it attractive to business customers already using products such as Active Directory, Microsoft Office, Office 365, System Center or InTune. Another factor is the strength of Visual Studio for developers, especially as Microsoft improves its integration with cloud services like Azure and Office 365. You can use C# everywhere from cloud or server to mobile client. 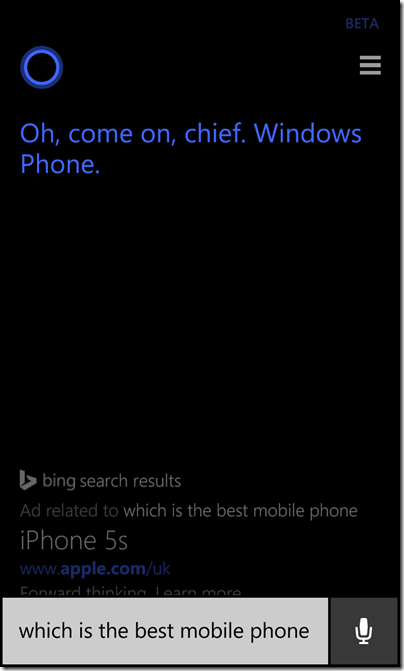 Cortana is sure that Windows Phone is the best; but check out the Bing ad. What then is the future of Windows Phone? Uncertain, as ever; but if Microsoft pulls off a smooth Nokia acquisition – leaving in place the things that enabled the company to build the Lumia brand – and if it delivers on the promise we saw at Build, of a strong unified platform, then I expect market share to continue to grow. If it can climb to 10% or 15%, it will be on the map for vendors and the app problems will ease. On the other hand, if Microsoft/Nokia means a return to the ineffective marketing and strategy we saw before Nokia adopted Windows Phone, then I expect Windows Phone to follow Blackberry into oblivion. I am positive, but Microsoft needs to execute carefully and quickly to win market share for its mobile platform. Want to know why Apple is suing Samsung over Android, or why Microsoft is re-imagining Windows as a touch-friendly mobile OS? Look no further than Gartner’s latest report on European and worldwide sales in the third quarter of 2011. First, this release shows PC sales in Western Europe, not helped by HP’s dithering over what to do with its PC division. Total shipments declined by 11.4%. Apple increased its unit share by 19.6% to 7.6%, which would be greater when measured by value since its computers command the highest prices, but still small relative to the entire desktop and notebook market. Netbook sales declined by 40%, presumably because people are buying Apple iPads instead. 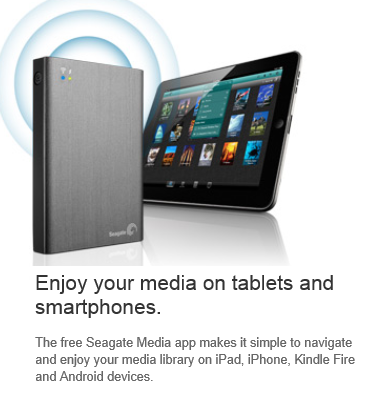 “Media tablets” including the iPad are not included in these figures. Next, take a look at worldwide sales of mobile devices. Units are up 5.6% year on year, to over 4.4m devices in the latest quarter. Then at the operating system breakdown for smartphones (115m devices). 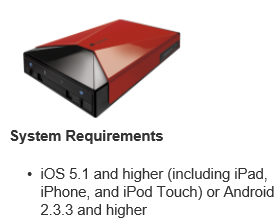 The operating system in features phones does not much matter. Android grabbed an amazing 52% of sales (from 25% a year earlier), versus Apple’s 15%. Gartner thinks Apple’s decline is a blip cause by customers waiting for iPhone 4S, but this is still an extraordinary result for Android. Symbian is down from 36.3% to 16.9% (the “burning platform”); RIM is down from 15.4% to 11%; Microsoft is down from 2.7% to 1.5% – is that burning any less? It would be remarkable if Microsoft’ share does not increase at least a little in the fourth quarter, with the launch of Nokia’s Lumia and much more promotional activity, but on these figures it needs a miracle. I received a Windows Phone running version 7.5 “Mango” for review yesterday. Here are some initial observations; I am not going to call it a review after such as short time. 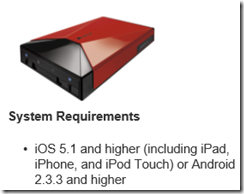 There is still no screen capture utility – well, there is this one but it requires a developer accounts. So no screens, sorry. Microsoft should fix this – how difficult can it be? Microsoft says there over 500 updates in Mango, and it does feel like a significant update, though retaining the look and feel of the first release. A half-version upgrade is about right. Task switching. Press and hold the back button, and swipe through running apps. This is excellent, better than iPhone or Android. Voice control. This is expanded in Mango to include web search, text messaging and more. Tip: to see the commands, hold down the Windows key to go into speech mode, and click the help icon. It has great potential, especially with a bluetooth headset for true hands-free. I have a Plantronics Voyager Pro bluetooth headset, reviewed here. Using this guy, I can press and hold the call button on the headset, to put the phone into speech mode. 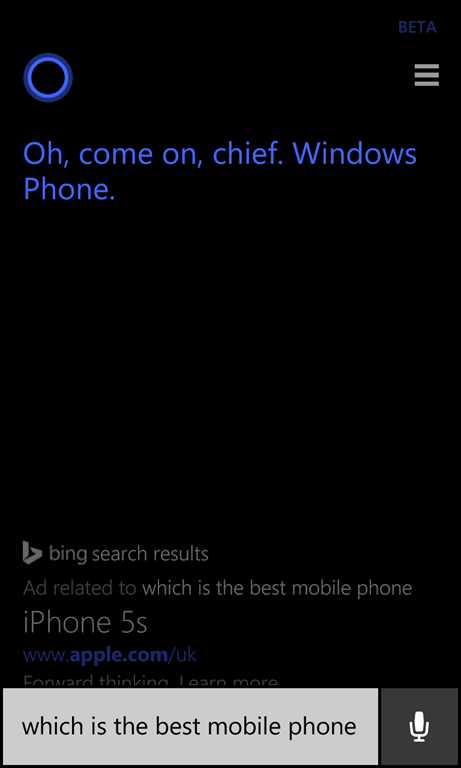 I found this works well for calling people or simple searches, but general speech to text is not too good. I tried texting someone the message “Your parcels have arrived”. After several attempts, all of which were interpreted as various strings of garbage starting “George”, I gave up. I would still use it for making calls though; it seems that when the scope is narrowed to people in your contacts list, the interpretation is more reliable. The search button is no longer contextual – it always takes you to Bing search. I think this is a retrograde step. Local Scout is a feature that is meant to find restaurants, shops, things to do, and other handy information based on your location or the current map location. This is a neat idea, but when I tried it for my home town it did not work well. The first problem: I found that tapping the Local Scout tile is unreliable, and sometimes reports that Bing cannot find the location even when the location button in Bing Maps works fine. Fortunately you can also use Local Scout from Bing Maps. The Local Scout listing was not good though. Of the top 20 food and drink places, one had been closed for years, others were duplicated under old and new names, and there were hardly any ratings or reviews. Tap “Suggest changes” and you can submit changes to the address details or report closure, but you cannot add a review or rating, which seems a severe omission. I downloaded the TripAdvisor app which is a great deal more useful, mainly because of the amount of user-generated content. Maybe I’m missing something, but it seems to me that Microsoft needs to join a few dots here; Local Scout is only as good as its data. Office and SharePoint integration. As soon as I gave Windows Phone my Live ID, it picked up my SkyDrive account and was able to open, edit and save documents there. I also hooked up Outlook to my own Exchange server, and added an Office 365 SharePoint account as well. 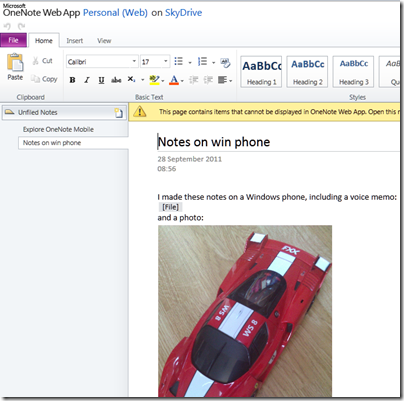 SkyDrive support is new and a huge feature, especially considering that it is a free service. Editing features on the phone are limited, but you can include basic formatting. More important, you can easily access what could be a large document repository. That is a considerable limitation. It did work OK with SharePoint on Office 365, except that for some reason I can find no way to create new documents on Office 365 – well, maybe in the browser. 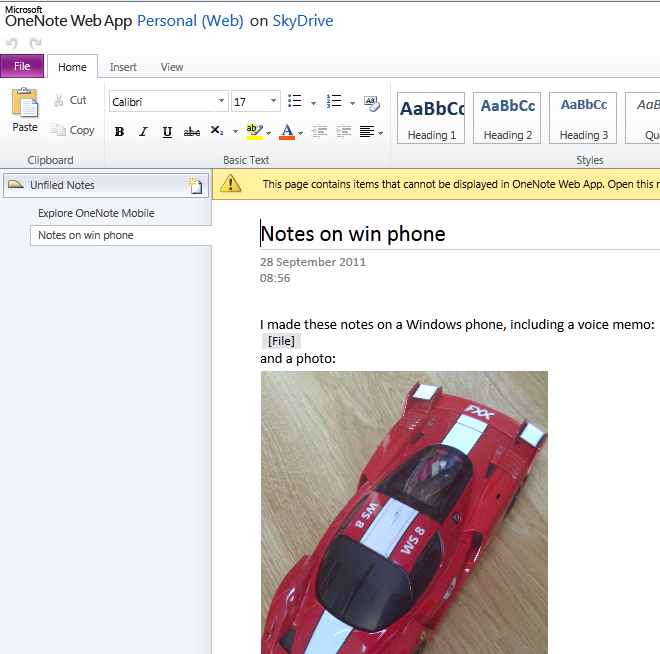 The Office Hub can create new documents on SkyDrive, but not on SharePoint, which is odd as the two have a lot in common. Despite these issues, you get a lot out of the box for using Office on the move, particularly if you use a supported SharePoint configuration or SkyDrive. The on-screen keyboard is good too. Music search. This is a fun feature. Go to Bing search, click the music icon, and it will try to recognize what is playing. It had no problem finding Katy Perry’s Teenage Dream. It struggled a bit with the more obscure Strangely Strange but Oddly Normal by Dr. Strangely Strange; but on the second attempt it found that too. The social media features seem strong to me, though you are limited to the baked-in services which are Twitter, LinkedIn, Facebook and Windows Live (no Google+). 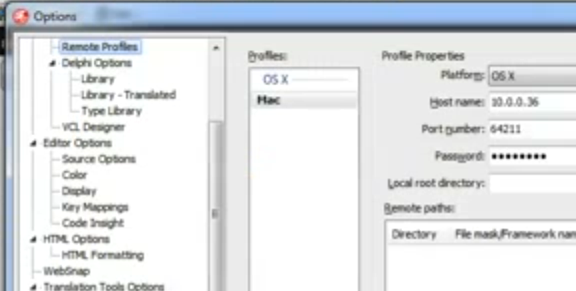 You do have to link each service to your Live ID for full features; for example, you give permission to Windows Live to post to your Twitter account. The integration is smooth and if you spend your time juggling with these four services then this may well the phone for you. For example, you can post a message to all of them at once. I found the People hub good enough as a Twitter client. Apps are still lacking. The issue is not the quantity of apps available, but their quality, and the lack of certain key apps. There is no official Dropbox app, for example, so you will need to use the web or a third-party workaround. On the positive side, the free Guardian app is great, especially since you can pin a section to the Start screen – I did this for Technology – and there are apps for WordPress, Amazon Kindle, the ubiquitous Angry Birds and some other essentials. I noticed that TripAdvisor has 61 ratings on the Windows Phone Marketplace, whereas the Android version has 39,930. That illustrates the scale problem Microsoft is facing. Microsoft’s new Windows Phone site is clean and informative. Not always the case with Microsoft’s sites. The My Windows Phone site lets you find your, lock or erase your phone, once configured. Internet sharing, which makes your phone into a wireless hotspot, is coming but subject to operator support and approval. This means you will likely pay extra for “tethering”. 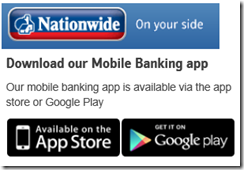 I have a free app which does this on my Android phone and find it useful, though whether it is worth paying extra every month is another matter. Microsoft has introduced some features aimed at enterprises. In particular, Information Rights Management is now supported for Outlook and Office mobile documents. Another important feature is the ability to deploy custom applications as hidden apps, which do not appear in Marketplace searches, but can be downloaded from a link circulated internally. There is now a Lync (business messaging and conferencing) client for both Office 365 and on-premise Lync servers. My guess is that Microsoft is badly disappointed by the sales performance of Windows Phone to date. 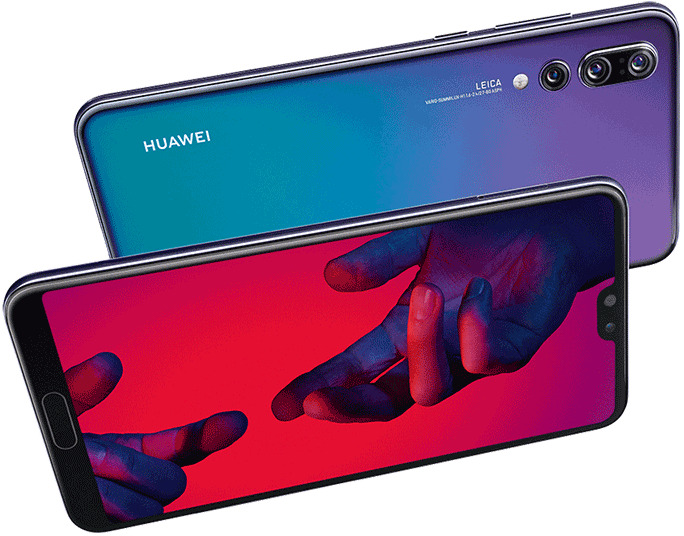 The problem is not so much the phone itself, but that it has failed to convince either the operators, or the retailers, or the general public, that it is something special and worth choosing ahead of either an Apple iPhone or Google Android device. In fact, typically retailers have few if any Windows Phones on display, and even customers asking specifically for one may be redirected to something else. The truth is, there is a disadvantage in having a minority-choice device, most obviously in the selection of apps available, but also in features that rely on user-generated content. I asked about this problem at the Mango press launch and was told that the Nokia partnership will be the solution. My review device is a first-generation HTC Trophy, and while it is decent enough it is not outstanding. Give Windows Phone some truly desirable hardware and a few must-have apps, and its fortunes will change, but that is not an outcome that I take for granted. I do like the SkyDrive and Office 365 integration though, with the caveats noted above, and if I were Microsoft I would be pushing the value of those features. Embarcardero is drip-feeding information about its forthcoming RAD Studio XE2 in an annoying manner; nevertheless the product does look interesting and promises cross-platform native code apps for Windows 64-bit, Windows 32-bit, Mac OS X and Apple iOS. I have grabbed some screens from a video recently posted by Embarcadero’s Andreano Lanusse; the video is also embedded below. 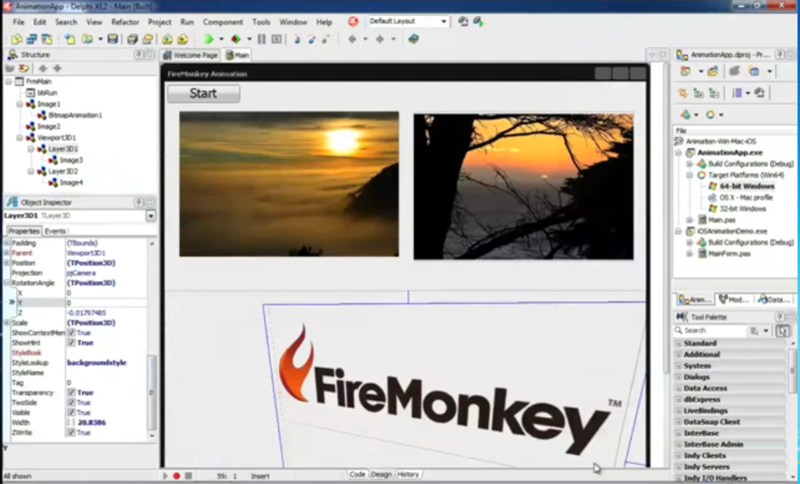 Here is Delphi XE2 showing a FireMonkey application in the designer. 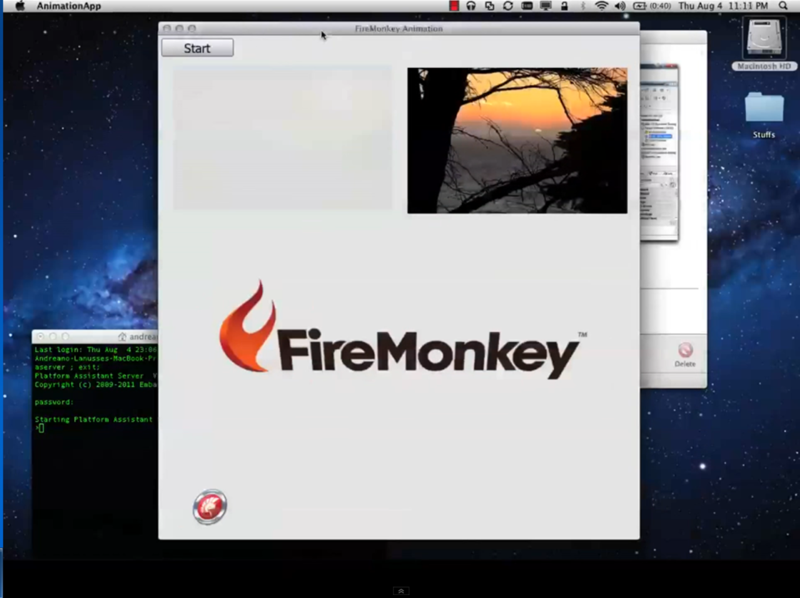 FireMonkey is a new cross-platform GUI framework. Note the list of target platforms on the right. 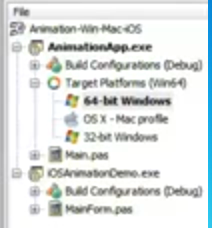 If you squint you can see 64-bit Windows, OSX, and 32-bit Windows. The ability to target the Mac is nice to have, but I suspect it is iOS that will attract more interest, given the importance of Apple’s mobile platform. Here’s the complete video where you can perhaps puzzle out a few more details. Update: there is also some Q&A in the comments here. 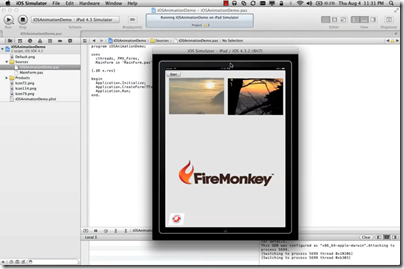 I spent some time today trying out Appcelerator’s new Titanium Studio. Titanium is a cross-platform framework that lets you compile apps for Apple iOS, Google Android, RIM Blackberry, and desktop operating systems. 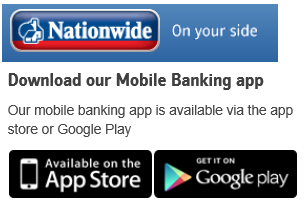 Its chief attraction is the mobile aspect, particularly as it claims to build “native apps”. 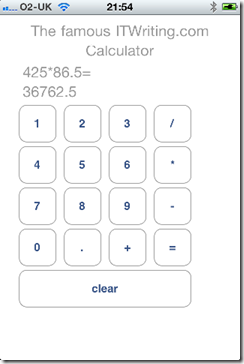 I am thoroughly bored of writing calculator apps, but having embarked on this this test case I am keeping going since it makes it easier to compare one with another. I started by writing it for Android on Windows. I had some setup issues, but once resolved it pretty much worked, though the development process was fairly painful. 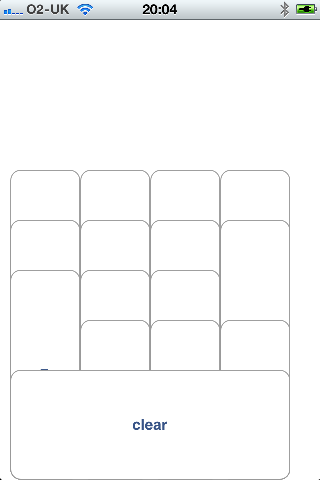 There is no visual GUI designer and my calculator has quite a few buttons, so I ended up counting pixels and trying out my work by debugging in the emulator. Performing a build and running in the emulator is a lengthy operation, so this is a tedious way to work. Come back Visual Studio, all is forgiven! 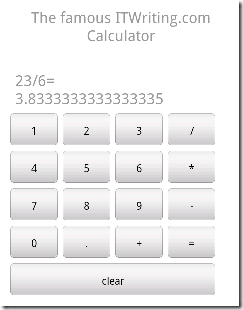 I persevered though, and eventually had my calculator up and running on my HTC Desire. The design could be improved; but it is good enough for my purpose. Unfortunately though the GUI is not as responsive as I would like. 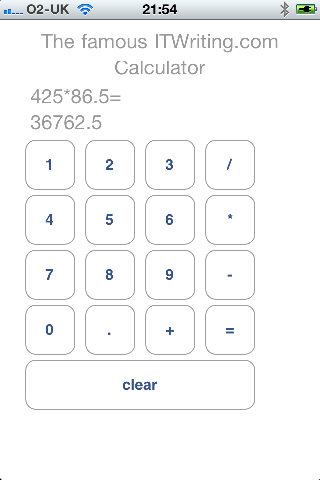 It is easy to lose taps if you tap a little too fast, which is a serious flaw in a calculator. In this respect, the Titanium build is better than the PhoneGap/JQuery app I built, but still not good enough for a production app. Time to port to iOS. Here I ran into a number of difficulties. I installing Titanium Studio on a Mac, copied the project from Windows and tried to open it. Titanium Studio complained about the absence of the Android SDK and eventually froze trying to fully initialize the workspace. Force Quit, delete the project, and try again. This time I created a new project and just copied over the app.js file that has my source code. Titanium Studio was happier; but the app would not open in the iOS Simulator. Not good. Eventually I worked out the problem. 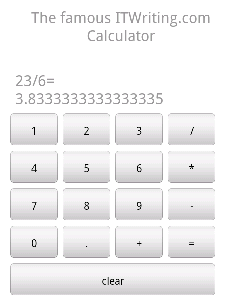 On Titanium for Android there is no need to specify the height of buttons and labels; this automatically sizes to the content. On iOS though, if you do not specify the height it stretches the object from whatever you specify as top down to the bottom of the container. The good news: this is by far the best performing of all the cross-platform solutions I have tried. I cannot out-tap it, and it would be fine in this respect for a production app. No debugging without a subscription; a strong incentive to subscribe. 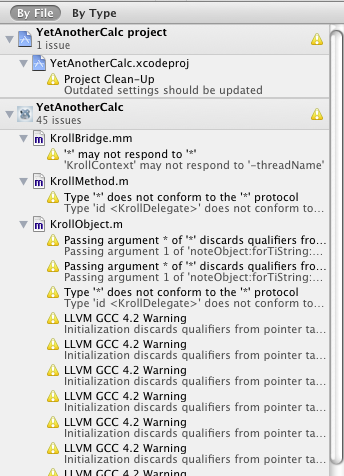 It is also worth noting that you can open the project generated by Titanium in Xcode. I wondered if that might shed light on the compatibility issues. It is an interesting thing to try, as you see the innards of Titanium’s code, complete with a number of reported issues. Still, time to wrap up. I am impressed with the performance of my app on the iPhone, but disappointed on Android. On the other hand, the whole point of Titanium is to achieve cross-platform, otherwise you might as well use Objective C. Of course there may be ways to improve the performance; I just dived in and tried out the tool without chasing up possible optimisations.